Consistent practice growth requires constant learning and improving. My practice has developed an ongoing training system in which support staff employees are always learning how to do more in serving patients and growing our profitability. At year-end 2017, we showed growth across five key metrics: Production, collection, total exams, new patients and optical production. For example, total exams (medical/routine new and established) were up from 2016 by 8 percent. Optical sales increased in both average sale amount and units sold. Those same five key metrics were increased by 11 percent on average between 2017 and 2018. We make a consistent and constant effort to define each position within the office. It starts with our office training program. This is an evolving program where new hires go through well-defined steps on every office procedure and policy. One key result of this program is never having a patient hear the words “I don’t know” from a staff member. More staff know-how means more chance to create the kind of experience a patient would want to return to, and the ability to help determine the best way for us to meet every patient’s needs. The other major result of this training program are new employees who can easily function in the position they were hired to, as well as handle the basics of any patient issue. For example, a technician is not a patient insurance specialist, but they would know how to look up basic information about a patient’s insurance plan, or an optician would be able to answer questions about the sequence of exam events, including what the patient will experience in pre-testing and the exam room, even though they don’t personally participate in those functions. In addition to making it possible for staff to give all patients with non-eye-health-related questions guidance, comprehensive training means the ability to delegate tasks that eat into the doctor’s professional and personal time. That means more time for the doctor to either see more patients, or have more in-depth conversations with patients, revealing eye-health and vision needs that result in a higher capture rate for services and products. Years ago, I would go through the office myself late at night, or on the weekends, taking notes about the additional patient care and office supplies, such as dilating drops and paper towels, that needed to be reordered. We put a system in place in which this chore of noting needed supplies, and re-ordering, is now part of one of my support employee’s official duties. That person has a digital checklist, and quickly assesses on specific time tables, how much of a reserve of each supply we have. For instance, they would be able to tell me exactly how many more weeks of dilating drops we have, or that the paper towels will most likely run out in two weeks. The person who checks and reorders supplies works hand-in-hand with the support staff member responsible for financial management to ensure we are getting the most cost-effective deal on all of our supplies. This system results in an office that is always ready to deliver uninterrupted service to patients while controlling our office overhead costs. New challenges, and change, are inevitable in any business. 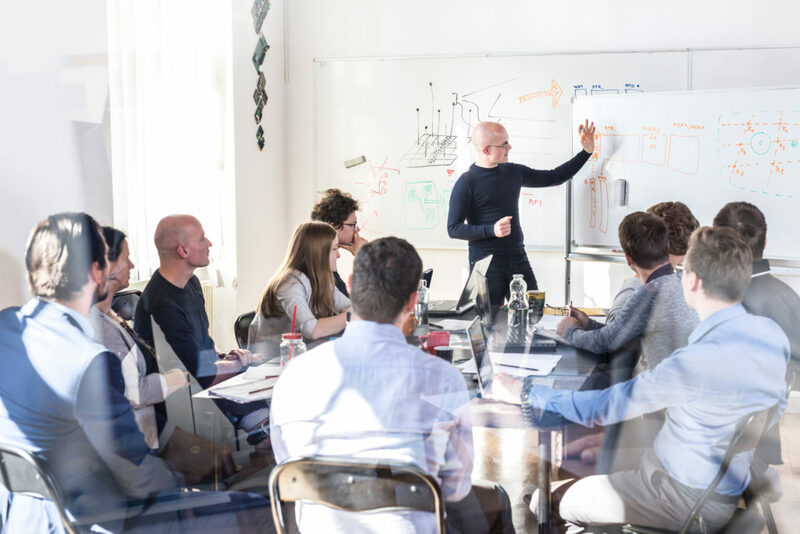 Providing ongoing training, on a weekly, or monthly, basis, allows you to prepare for those changes, and also to keep employee morale up. When employees feel overwhelmed and unprepared, stress levels rise, and with those stress levels, discontent. Employees who feel confused and burdened are not in a position to deliver a high level of care to patients. We either improve or get worse, nothing is ever the same. If you don’t aspire to a theory of constant learning and improvement, your net diminishes. Practice owners can exert control in ensuring improvement by offering continuous training. It may seem overwhelming and heavy-handed to provide ongoing training, but the exact opposite happens. Production is high when morale is high. People knowing exactly what they should do on a daily basis, and what their colleagues should do, makes for less drama and far more fun. For those reasons, we make time for staff training at every weekly meeting. We review what worked, and what didn’t, from the prior week, and then discuss how we will do more of the same, or change course. We also discuss the practice metrics from the previous week, and what each staff member should do to help improve those metrics. No one on the staff is left wondering what their to-do list is for the coming week. Every policy and action is predicated on the premise that we seek to make each patient happier walking out of our office than they were walking in. To find out if we are achieving that goal, we survey patients after each visit on all aspects of their experience, from their check-in at the front desk to their pre-testing and exam room time to their shopping in our optical and the selection and ordering of eyewear. Questions are asked to provide a numerical rating to each experience in our office, but there also is room for patients to write a few words to describe each element of their time with us. If a patient sends back feedback that shows they did not have a positive experience, I personally reach out to them, take notes on what we could have done better, and then address those concerns by changing my own performance, or providing additional training to support staff. For example, if a patient complained that they waited too long between pre-testing and time with the doctor, I would review the pre-testing format, and go over with technicians how they can become more efficient. Or, if I looked back at my schedule the day of the patient’s visit, and noticed that I was the one who was running late, I would review where I may be spending too much time during the day, and then strategize ways of streamlining my tasks. Patient feedback is coupled with close tracking of our practice metrics to guide staff training. For instance, in the optical, we track how much of each lens treatment is selling, and if there is a lagging metric in this area, I review how I could better prescribe this treatment in the exam room, and how I can better educate my staff about the benefits of it, so patients more often follow through on my prescriptions. If our new exams number is lagging, I might strategize with the whole staff how we can do better encouraging whole families to come in for appointments. We might role-play conversations to have with patients about other family members who need to see the eye doctor, and getting the word out to their friends about the positive experience they had in our office. 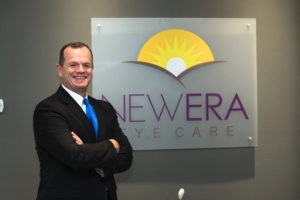 Brian O’Donnell, OD, owns New Era Eye Care in Shavertown, Penn. To contact: bod@neweraeye.com.